The GCHQ (Government Communications Headquarters) is not very well known outside of the United Kingdom. The governmental organization is almost a century old (it will celebrate its 100th anniversary next year), in 1919 it started as the government's school of codes and encryption (Government Code & Cypher School) and it was not until 1946 that it changed its name to what it is now. The GCHQ’s job is to maintain Great Britain´s security through information assurance and also signals intelligence (SIGINT). 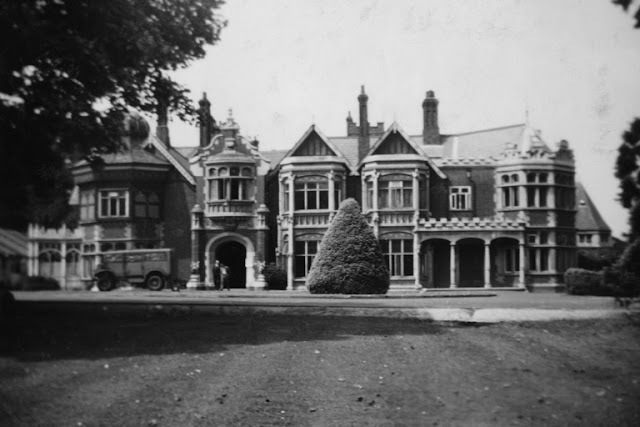 The GCHQ was founded after the first world war and had the important role during the second world war of working on how to break the German Enigma codes and also during the Cold War, from its famous center in Bletchley Park. The center currently has two main components, the Composite Signals Organization (CSO), which is responsible for the collection of information, and the National Cyber Security Centre (NCSC), which is responsible for securing the United Kingdom´s own communications. 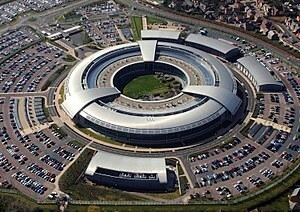 The main GCHQ building is an original construction known as ‘The Donut’ and it is located in the outskirts of the city Cheltenham in the United Kingdom; from there they carry out a large part of their activity whilst collaborating with their members, the Secret Intelligence Service (MI6) and MI5. The National Cyber Security Centre (NCSC) was created in order to make the United Kingdom the safest place to live and do online business, by protecting critical services against cyber-attacks, managing major incidents and improving the underlying security of the internet in the United Kingdom through the best technologies, citizen advice and organisations. The GCHQ Cyber Accelerator is a collaboration between the United Kingdom’s Governmental Department for Digital, Cultural, Media and Sport (DCMS), the National Cyber Security Centre (NCSC) and Wayra UK, which is a part of Telefónica Open Future. It is part of the government’s national cyber security program which is valued at £1.9bn, which drives innovation in the cybersecurity industry and helps keep UK businesses and consumers safe from online attacks and threats. The program, which is already in its second call for proposals, has received more than a hundred applications in its latest call from startups specializing in cybersecurity; amongst which they have selected nine (RazorSecure, Warden, Intruder, TrustElevate, Secure Code Warrior, Cybershield, Ioetec, Elliptic and ExactTrack) which are being accelerated during nine months in order to allow them to expand their capabilities, improve their ideas and design leading edge technology. A group of GCHQ mentors and the group Telefonica, which includes O2 and ElevenPaths, give their support to these new companies which also receive a financial subsidy and access to a workspace in Cheltenham. In the following piece we will explain in detail the selected startups and their technology, in order to understand how they apply innovation which overcomes the current and emerging threats. I provide cleaning services in London, and most of the orders are earned online, so I used to be afraid of losing my confidential data related to the business unless I hired data protection consultancy for my help. Now, I can handle all my online transactions fearlessly.